Ulcerate has no time for pretension. Just grisly, to the point death metal. I’ll be similarly succinct: “Shrines of Paralysis” is the New Zealand quartet’s fifth record. It’s their best release by a considerable margin. It’s also one of the best death metal albums of the year by an equally considerable margin. Forget extraneous review and fansite subgenre buzzwords such as “technical” or “post-metal.” “Shrines of Paralysis” has no shortage of complex instrumentation and forbidding soundscapes, but they’re just supplements. This is raw, uncompromising death metal at its finest, and few contemporary bands can compare. “Shrines of Paralysis” blends the strengths of the band’s strongest albums while nullifying their slight downsides. Though both are undeniably excellent, past records such as “Everything is Fire’s” nonstop blistering pace made for a somewhat fatiguing listen, while “Vermis’” particularly harsh atmosphere sometimes detracted from the actual music. Neither is an issue here. Opener “Abrogation” immediately makes this clear. One of the record’s faster pieces, “Abrogation” is a no-frills aural assault. Intros, solos, and any inkling of accessibility is for cowards, anyway. Pounding drums and deep, roaring vocals are the distinct standouts here and vocalist Paul Kelland deserves special praise. His growling is reminiscent of old school death metal’s finest acts, shockingly raw and violent but never so excessive to wear on the listener. “Shrines of Paralysis” never crests the majestic brutality of “Everything is Fire’s” title track, but there are still plenty of standout moments. “Yield to Naught” and “There are no Saviours” have the breakneck ferocity of the band’s faster works, but are drenched in enough atmosphere and have just enough breaks to offer respites from the madness. Both run about eight minutes but are so varied and violent that they’re hardly unnecessarily difficult listens. Surprisingly, the two-minute “Bow to Spite” is by far the best track. Glacially slow, the song is dominated by a genuinely unnerving guitar riff and an (unfortunately brief) grueling and borderline demonic vocal performance. It’s horrifying in the best possible way and far better than any quasi-interlude has a right to be. The album’s latter half is relatively slower, but the intensity never lets up. “Chasm of Fire” and “End the Hope” are as apocalyptic as their titles suggest and command attention even as the album stretches near the end of its lengthy runtime. For an hour-long record this heavy to be so consistently engaging is a remarkable accomplishment. “Shrines of Paralysis” is as luridly direct as death metal’s classics but intelligent enough to reward many repeated listens. It’s pretty obvious, but this isn’t a happy or positive record. 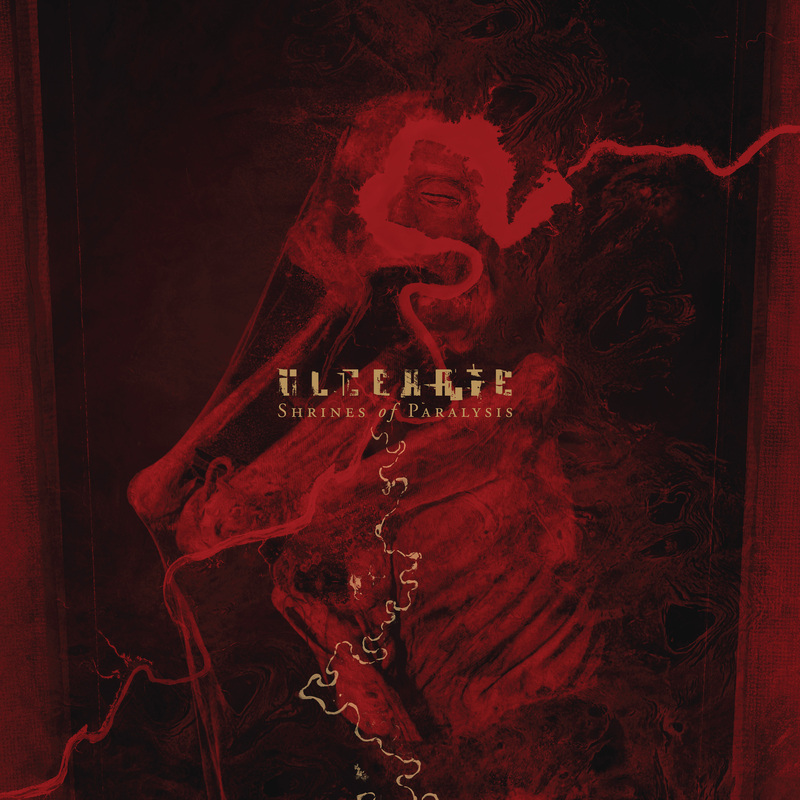 But there’s certainly reason to smile after listening to “Shrines of Paralysis.” This is straight-up death metal done damn well and a phenomenal example of why Ulcerate is one of the genre’s greatest leaders.